To provide financial assistance to our students, the Geraldton Universities Centre’s Hollomby Foundation operates a scholarship program for those undertaking study at the GUC. Scholarships range in value from $1,000 to $5,000 per year. Below is a listing of the 2019 Hollomby Foundation scholarships for 2019. The Hollomby Foundation provides $10,000 to support students entering the University of Southern Queensland’s Bachelor of Nursing program supported by the GUC. The Horwood Family are Patrons of the Hollomby Foundation. This Bursary, made available after the sale of the 2014 Telethon Home in Deepdale, provides a $5,000 scholarship to nursing students studying the University of Southern Queensland’s Bachelor of Nursing program full time at the GUC. N.B. Scholarship amounts are discretionary and will be decided by the Scholarship panel subject to need. 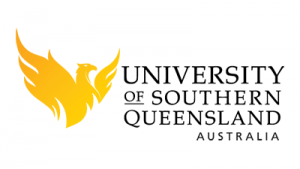 This $1,000 scholarship is offered to one student who is continuing in the University of Southern Queensland’s Bachelor of Nursing program supported at the GUC in semester 1, 2019. Available to one full time Aboriginal student entering the USQ Bachelor of Nursing program in semester 1 2019, this scholarship offers: $500 per semester for the duration of the program, to a maximum of three years, to assist with course expenses; a casual employment opportunity at the Hospital whilst studying; and a guaranteed interview for the Hospital’s Graduate Program. This $1,000 prize is awarded to the highest achieving Accounting student in CQUniversity’s Bachelor of Accounting course. Awarded in December 2019. 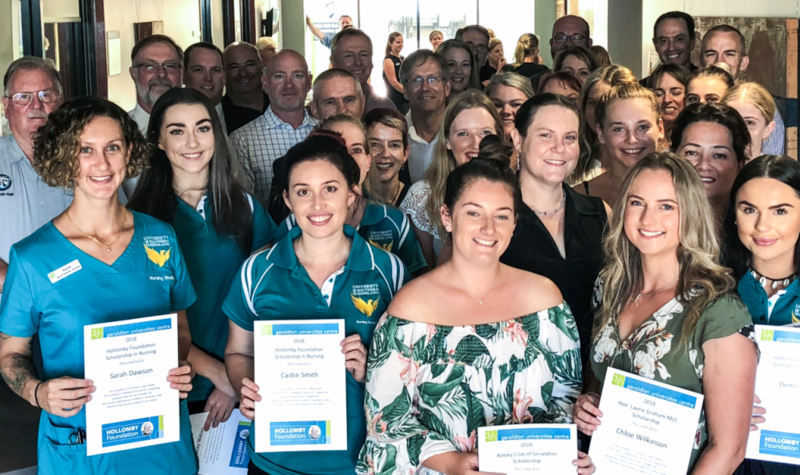 Made possible thanks to the support from the Greenough River Solar Farm, two $10,000 scholarships are open to full time GUC students in CQUniversity’s Bachelor of Environmental Science. These scholarships are paid over two years of study. The Hollomby Foundation provides discretionary funding of $5,000 to support students studying degree courses offered at the GUC. $7,000 in scholarships to support Aboriginal students undertaking university study at the Geraldton Universities Centre. $8,000 in scholarships open to all students undertaking university study at the Geraldton Universities Centre. This $3,000 scholarship is targeted at high achieving Geraldton school leavers from 2017 or 2018 who will commence a full time undergraduate course at the GUC in 2019. Helping to create a more vibrant City, two $2,000 scholarships are offered to new or continuing students studying full time at the GUC in 2019. Open to residents of the Shire of Irwin, this $2,000 scholarship is available for students undertaking an undergraduate degree at GUC, either part time or full time. Valued at $2,000, this scholarship is open to new or continuing, full or part time students at the GUC residing in the Shire of Northampton. This $2,000 Scholarship is aimed at a new or continuing GUC student who best demonstrates their commitment to the Mid West community. $2,000 scholarship for an eligible applicant in their final year of study in fields such as Education, Social Work and Nursing where students have to complete lengthy unpaid internships and professional practice placements in local schools and hospitals. This $1,500 scholarship is designed to assist regional students who stay on the land and study locally in a full time undergraduate course at the GUC in 2019. Focusing on relieving financial hardship, this scholarship is valued at $1,000 and is open to students studying the Associate Degree in Agribusiness at the GUC in 2019. This $1,000 scholarship aims to encourage and support students studying at GUC in any discipline. $1,000 scholarship for an eligible applicant in their final year of study in fields such as Education, Social Work and Nursing where students have to complete lengthy unpaid internships and professional practice placements in local schools and hospitals. 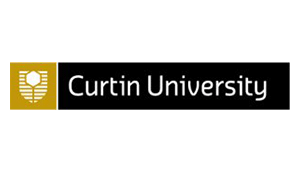 This $1000 entry level scholarship is open to recent school leavers (under the age of 20) who gained entrance to a course supported at GUC either through an ATAR, STEPS or a TAFE Pathway. This $1,000 scholarship is open to any student commencing study at the GUC in 2019. This $2,000 scholarship is open to any student studying at the GUC in 2019. The former Australian Higher Education Heads of Campus Forum, of which GUC was a member, acknowledged the financial difficulty that can face some students as they near completion of their course. They donated funds to the Hollomby Foundation to provide a $2,000 scholarship to a final year student required to complete a lengthy unpaid internship or professional practical placement to complete their degree and become the future professionals needed for the region. The course must be either Science, Technology, Engineering and Mathematics (STEM), Health or Agriculture with a qualification level of: Certificate IV; Diploma; Advanced Diploma or Associate Degree; Bachelor Degree; Bachelor Honours Degree, Graduate Certificate or Graduate Diploma; Master Degree or a Doctoral Degree. To promote, encourage and support Wajarri Yamatji people studying higher education programs Sinosteel Midwest Corporation, through the Weld Range Project Native Title and Heritage Sustainable Benefits Agreement 2014, is offering up to six scholarships of $1,000 per semester (or pro rata for part time students) throughout the study program, to a maximum of four years. $500 incentive payments are also available for STEPS bridging students (or pro rata for part time) studying at GUC. Note: for more information and to apply for these opportunities please contact Peter Jones on 9429 4888 at Sinosteel Midwest Corporation or click on the links below.